A custom-designed and custom-made Lego casket – it is adorned with 26,000 Lego pieces – sits at the Fort Jones Cemetery Saturday morning just prior to young Dylan Frick’s memorial service. 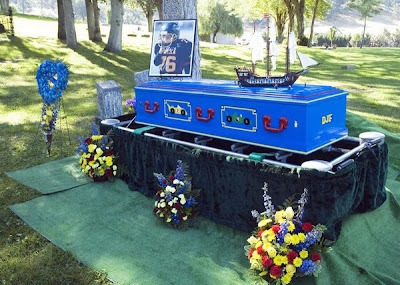 Jamie Nowdesha, a funeral counselor and personal secretary at Girdner Funeral Chapel in Yreka, was instrumental in moving the month-and-a-half-long project to construct a casket for Dylan adorned with 26,000 Lego pieces along. 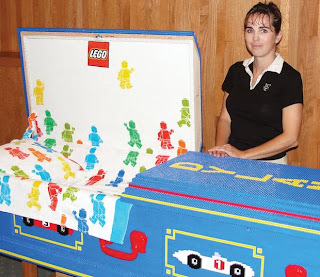 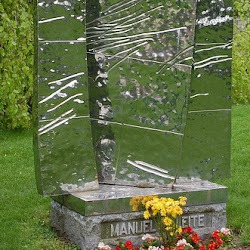 She made the original call to the Lego organization and was the contact person for the casket manufacturer and the Lego artist who designed and created the Lego outer shell.